May Wood is a 6-foot-2 blond bombshell who has non-exempt status on the LPGA Tour in 2006 and fully exempt status on the Futures Tour. She hits the ball a mile, and I'm sure we'll be seeing more of her. 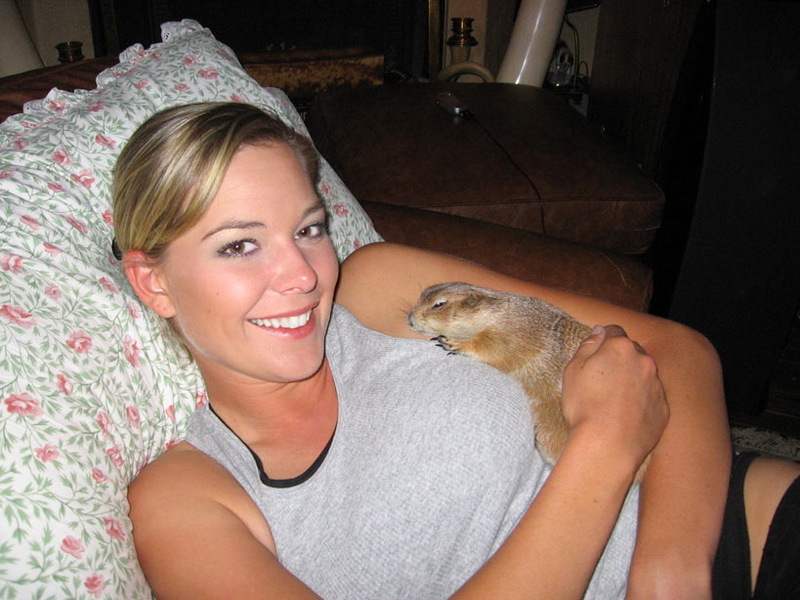 Why she's cuddling a prairie dog, I can't say. But she's obviously very beautiful ... and the prairie dog is cute. I was never a fan of Jan Stephenson, even back when her original cheesecake calendar appeared. OK, I lied. I went to the local sporting goods store and shelled out money for the box of balls you had to buy to get the calendar. Then I opened it up and ogled. As did many, many other golfers of that era. Yes, they really are caddies. This photo is courtesy of CaddyChicks, a company that matches up hot caddies with golfers who, um, "need" them. Hey, get your mind out of the gutter! These ladies work hard lugging that bag around, and are trained, professional caddies. The women who work for CaddyChicks post their profile and pics online, along with the times and locations of availability. The golfer who needs a caddie books his caddie online, pays CaddyChicks a booking fee, and pays the woman her caddie fee when they meet up at the course being played. Check it out at CaddyChicks.com.